[OPINION] Don Bergmann: Ban Gas-Powered Leaf Blowers! Don Bergmann is a longtime Westporter. A close observer of the town, his regular comments on “06880” are always clear and concise. Noise in Westport bothers many, with many items of concern. My only interest is leaf blowers. I do not seek to complicate noise issues with a broad-based approach or decibel measurements, though a manufacturer’s decibel standard could apply to leaf blowers. I would like to see Westport adopt an ordinance that would ban the use of gasoline-powered leaf blowers by commercial users from May 1 through October 15. The ban would not apply to individual homeowners or renters for their own properties. Gas-powered leaf blowers have become very noisy, and in my judgment are overused. They address minimal meaningful needs, other than for the clearing of leaves in the fall and general cleanup in early spring. The noise is a a quality of life issue. The banning of gas-powered leaf blowers has received a fair amount of attention over the years, with communities looking into the issue and many, I believe, taking action. I have accumulated some useful background information. I am aware that Save Westport Now has, independently of me, raised the same issue and is compiling relevant research. I believe SWN would make available that research if requested. Bergmann asked each RTM member and candidate to respond. Meanwhile, “06880” readers: What do you think? Click “Comments” below. This entry was posted in Environment, Local politics, Westport life and tagged Don Bergmann, gas-powered leaf blower, Westport RTM. Bookmark the permalink. Don: my wife and I are in wholehearted agreement with you. If you had a neighbor who had kids in a rock band that looked to regularly rehearse outside and play music at that unreasonable level of noise, a call to the police would undoubtedly result in the police coming by and putting a stop to it. Hi Don. I can see your issue (living in the dense beach area). Backpack blowers are great tools though doing the job of dispersing grass clippings, cleaning walkways and driveways, and other general clean-up. Your ordinance would add extra expense to homeowner bills as the job would take longer and be less professional. Yes, please ban these! The noise is so intrusive and the smell and pollution are awful. Thank you for leading this initiative! I’d like to see it expanded to include Fairfield. There are 56 volt battery blowers and, if enough homeowners demanded use of these instead of gas ones, the landscape guys would have to bend to what’s good for the ears and the environment. Thank You Don for starting the conversation. I’ve been switching to QUIET electric battery operated LAWN tools and the results are impressive. Until recently they we disappointing but that has changed. The hedge trimmers are fabulous, even the SNOW blower impressed me. The mower for 1/4 acre lawns is perfect (I concede if you have 1+ acre of lawn you need a bigger machine), The Chain Saw is amazing! The weed whackers are wonderful. The leaf blowers have an inherent problem being quiet because they move large volumes of air in a funnel and that is what makes them noisy, however they are MUCH quieter then the gas models. Go ELECTRIC BATTERY. The lawn care companies aren’t going to move away from noisy polluting GAS motors until their clients ASK THEM to. I’ve found the 40V tools overcome the issue of enough power and run time as the battery technology has improved greatly and its getting better all the time, they are light weight and not expensive. I think they only reason the Lawn co. aren’t going there is because they need to keep enough batteries for a whole days work for a crew or someone has to recharge batteries during the day…offer them your outdoor plugs. I grew up in Noisy New York City and was shocked that there is more noise here. Working from home, All Day Long EVERY day the Lawn companies start in the April/May, work through the summer, and end in Oct/Nov. The winter is the only relief from the noise except for the snow removal days where it gets noisy and dangerous. During the day it’s quieter in NYC. Be careful what you wish for (unintended consequences). Battery powered tools are homeowner quality not commercial. Underpowered. How many batteries are needed for a day. Recharging overnight that many could cause fires? Servicing equipment? Probably easier to just throw away. What about all those batteries being dumped? Does anyone know if Eversource uses fossil fuels for their power plants to provide electricity to Westport? Batteries can be recycled, oil/gas can’t. Drilling for oil is infinitely more harmful, as it needs to be done constantly to keep up with demand. Once you’ve mined the lithium (and it doesn’t have to be mined, it can be extracted from the evaporation of sea water) that same lithium can be used in a battery, and 99% of it can be recycled and reused. Once you’ve used the gallon of gas it takes to blow a couple lawns, it’s gone forever, and you need to go drilling for more. Nothing is 100% perfectly “green” or clean, but don’t let perfect be the enemy of the good. We just finished listening to 3 or 4 powerful leaf blowers behind our house on Sunday Morning at 8:30 AM!!! Not only are they completely ear shattering, but they blow the debris into our windows and screens!!! What a mess!! Do we need this kind of power to get the job done?? I agree that this is a major issue, especially at 7:00 AM when some of us are trying to sleep. Major manufacturers now advertise the choice between battery and gas. Of equal concern are the mowers, especially the professional ones. People are obsessed with power-everything. Leave some leaves on the grass – it’s good for the grass. 1. Those blowers are toxic to us and the environment. They stir up all sorts of unsavory particulate matter—including mold, fungal spores, fertilizers, heavy metals, and animal feces—some of which have been linked to asthma, lung cancer, and cardiac problems. The problem is especially acute for children and pets, who are closer to the ground. 2. Gas-powered blowers (GLBs) produce a “hydrocarbon cocktail” that includes carbon monoxide, sulfur dioxide, nitrogen oxide, formaldehyde, benzene, and other carcinogenic and chemical pollutants. In addition, because most GLBs have 2-stroke engines, they produce an extraordinary amount pollution. In fact, it is estimated that 25% of the gasoline used in a GLB goes directly into the atmosphere. Scientists have shown that operating ONE 2-stroke leaf blower for 30 minutes creates as much air pollution as driving a Ford Raptor pickup truck from Texas to Alaska. Operate ONE leaf blower for ONE hour and you will produce the same amount of pollution as 40 idling cars. 3. Because GLBs create hurricane-force winds, they inhibit new plant growth, stress existing vegetation, promote the desiccation and loss of topsoil, and damage beneficial insects like earthworms and bees. 4. Those machines greatly exceed the maximum decibel levels recommended by WHO. This type of noise can cause permanent hearing loss and increase blood pressure, adrenaline, and heart rates. 5. Blowing grass clippings and debris during the summer is not only unnecessary, but the practice creates another environmental problem as the nitrogen rich material usually ends up in the street, our storm sewers–and the already imperiled Long Island Sound. It’s time to join the dozens of other smart towns across the county and ban these machines–at least during the summer. I did not know if and certainly not when Dan would post my letter. Of the 36 members of the RTM, I received substantive responses from only seven. The seven did include candidates for First Selectman Melissa Katz Kane and John Suggs. First Selectman Jim Marpe also responded. I already sent one follow up to the RTM and will do one more, I will copy Dan Woog for his inclusion in 06880 as he may wish. Thanks to those who have commented above and to others who may subsequently comment. Question – If a tree service were to spend the day using chainsaws and a chipper to remove a hazardous tree over your house or pool…would they be able to use a blower to clean up afterward? Let’s start woukd they be able to use chainsaws. I also agree and would like to add that often the workers blowing the leaves do not pause when can cars are passing by on the street and blow the dust and debris into the car windows. This is absurd. How about we focus out time and energy on things that really matter in this town – great schools, lower taxes, a beautiful beach, public safety, a successful arts and culture scene, and better transportation. These are the kinds of things that keep people moving here and our property values up. I can’t even believe anyone would spent 5 seconds of their time being concerned about something as trivial as this. I also can’t believe our elected representatives would spend their time on this when there are so many more important issues to consider. Look up at the beautiful sunshine and the awesome town in which we live and consider what’s really important. I can’t believe that the issue of main importantance to you, Jay, is property values (the beach, the arts, the schools just as means to keeping up the value of your house). Quality of life right now is really important to people of all ages since none of us knows how much time we’ll live. Don, I support your proposal. Valarie Jacobs comment on the noise, air and water pollution of these 2 stroke cycle engines is totally valid. The machines of today more like jet engines and are producing negative affects on our environment in Westport. If we can successfully ban plastic bags to improve our environment, we certainly can and should do the same with these polluting monster leaf blowers . Point of information, almost all outboard engines for boats are now 4 stroke cycle to reduce the air pollution produced by the old 2 stroke cycle engines. Rakes still work! I agree with Jay Summers. Although everyone hates the sound of these blowers, etc., perhaps if the town could come up with some ordinance where the blowing could only take place between say 10AM and 3PM, the noise problem could be solved. I no longer live in Westport and live in Boca Raton in a country club community. Our lawns are cut 52 weeks a year. They start at a reasonable time and always are finished by 3PM. Just like your skin, continuous maintenance is necessary. I would love to get some feedback from the major landscaping companies that service Westport. Should we not consider these hard working people that are busting their humps every day to put food on their tables maintaining our properties. I am shocked none of the comments have considered these hard-working people. What if this new ordinance results in some of the smaller companies going out of business since they can’t afford new equipment. Personally I think we have too many ordinances adding one more does not make a lot of sense. Let the market dictate use of these machines. If enough people demand this of their companies perhaps we will see change over time. Let’s not over regulate life in our great town. 3) be polite when speaking to your neighbor about their Commercial contractor with the gas powered leave blower. 5) To ask government to help in this critical crises is insane! Municipalities around the country, and around the world, have paved the way to an improved quality of life for their communities, and have crafted some very sensible regulations to address noise- related issues. Between the dramatically improved- and ever improving – battery operated tools, and civilized hours of activity, among other things, there’s an abundant menu of options available to us. We can all enjoy a greatly improved quality of life, and do so without damaging the livilhood of the many workers who service the residents of our community. Thanks Don! I’m 100% with you. Why not an ordnance requiring that all property be kept in its natural state? No lawns, no plantings. Such an ordinance would produce a quiet environmentally friendly town. Oh yes; and no swimming pools. At the very least there should be no heated swimming pools. What Don is proposing is a tax that will fall ultimately on the homeowners of Westport, who are clearly under taxed as it is. I say ban all chainsaws and chippers to fix this problem…. What is next-gas powered lawn mowers? .”Save Westport Now” …. from over regulate life here . ..What next ?, Stop heated swimming pools … stop Harley Davidson motorcycle enter to Westport … Stop to burn wood in fireplace. and use leaf blowers to blow snow in the winter? Wilmette, IL did it and (from what I’ve seen) the lawns still look great. If anything, I’d think such a regulation would make a town more appealing (better quality of life)! I’ll tell you what’s next: Let’s ban all children from Compo Beach and make it adults only. The other day I went there to read a book, hoping to hear the serene sound of waves in the background, and all I could hear is the annoying sound of screeching kids. That noise pollution needs to stop. Let’s make beach reading great again. It’s not only leaf blowers. It’s lawn mowers, wood chippers, chain saws and other power equipment. And it goes on all day. As you know, I live in the Greenfield Hill area of Fairfield. We have two-acre zoning. The people in my neighborhood have “pride of ownership,” as it’s called in real estate circles. I love to have breakfast on my patio and work in my garden, It would be nice if I could do them in peaceful surroundings. But from sunrise to sunset (it seems), all I hear are landscapers and “lawn guys” making everyone’s property look beautiful. I think my next-door neighbors have their lawn mowed every other day. And there are the people across the street. And the ones around the corner. It never stops. I understand it’s worse in Greenwich. They have four-acre zoning in some areas, and the noise starts at 4:00 am for garbage trucks. Bobbie. Then work on Fairfield ordinances. Next think you know, we will ban dogs barking and kids swimming in the neighbors pools. A couple of former Westporters (Jeff now in the Carolinas, Michael now in Florida) mock the discussion, and it dies? There is and should be a regular churn in noise regulation in our and similar communities. Gardening services pull large trucks with large trailers into the right of way and onto the sidewalks of our streets in increasing numbers. Leaf blowers and other equipment impinge on the quiet we would love me to think is the norm. There are ways to restore what is acceptable, and the RTM is the body that should address them. Hey Werner last time I checked this blog is for past and present westporters. Anyway glad to be away from snobby people like you. See y’all. It’s ok to leave the Westport bubble. What a silly response. I wish you (and Michael) well in your new communities. Noise regulation is non-partisan. I am sure you have it within you to be a pro-active citizen. I agree that electric lawn maintenance equipment should be encouraged. We use our electric lawn mower to clean up the leaves (in near silence) and then take them to the yard waste site; no blower needed. I say lets make the work day a little harder for commuters who disrupt my quite coffee time with their noisy trains..
Let’s ban all trains from going through Westport between the hours 10am and 4pm….c’mon. who’s with me on this! Proud of Westport. When the news of this gets out the whole country will follow suit. This is what happens when you drain the swamp. I was oblivious to this when I lived in town, I thought we were the only town that knew what it was doing. I have detected from conversations with both elected and non-elected people in Westport over the past year that there is indeed interest in exploring possible approaches to the general issue of noise mitigation. As I recall, the last proposed noise ordinance in Westport foundered owing largely to its broad scope. Mr. Bergman has proposed the rough outline of an ordinance that appears very narrow in scope. His concerns, as a resident, do not seem unreasonable and, at the very least, deserve to be heard. And if there is a proposed ordinance actually brought forward, the RTM process for evaluating it offers ample opportunity for community input – both pro and con. I live in the downtown area and I can say without hesitation that the general issue of noise mitigation there is becoming a higher profile quality of life issue among residents living there. I wonder if noise suppression technology could be deployed on this problem? The silencer makers for firearms do not face a particularly bright future and might devote some R&D effort in this direction. Perhaps you could use a small catalytic converter to deal with the emissions problem. There may be a huge opportunity for the right entrepreneur. Are there any interested venture capitalists in Westport? Is this real life? This is what people are complaining about?! Why not take it a step further and ban gas powered vehicles. Make everyone get electric cars. Yes, I know you aren’t advocating for this, but it really is an excellent idea. And make utilities convert to renewable energy sources. If we had real political leadership, this would already be reality. “environmentally undesirable” ha! – I read a study recently (don’t have link off-hand) that basically said there is no positive impact to the environment to use electrically powered motors when the electric power for those motors is produced by a power plant. It went further to say that it actually may be worse. So this “environmentally undesirable” line is non-sense. 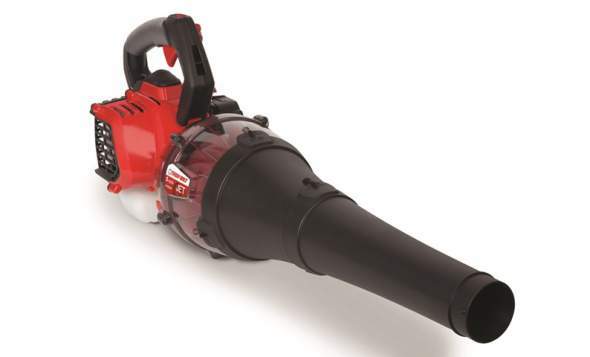 A gas powered leaf blower is probably more environmentally friendly than an electric one. Even in Wyoming or West Virginia, which have the highest percentage of coal powered electricity, an electric car has fewer emissions than gas. In the vast majority of states, they are significantly better, including all of new england. I agree with banning the gas-powered blowers. I am in complete agreement with Don’s proposed ordinance, not only because of the absolutely maddening noise the gas blowers produce, but also because of the environmental issues Valerie Seiling Jacobs outlined. except there are more pollutants when an electric power plant makes the electricity to power an electric blower. electric engine is also less efficient. so no. I really don’t hear the noise, I wear ear protection when I mow my own lawn. Try it, it’s good exercise. 10,000 steps. Better than NYC. In Switzerland those darn cow bells went on all night. Maybe the desert, no coyotes! We use a lawn service company to mow (and blow) every week. If “the guys” showed up at my house at 7:00 am to do anything, we would politely ask them to come back after 8:30 am. If they refused, we would find another lawn service company. In the nearly 10 years we have used this company, never once have they been obtrusive. Our neighbors have never complained about the noise from our lawn workers, and we have not complained about the noise from their lawn workers. “The guys” seem to work quickly and efficiently. Is the issue having the lawn workers arrive at 7:00 am, or the fact that they arrive at all? The commercial mowers the lawn workers use are loud, too. Should lawn mowers be banned as well?